Conversational interfaces are what science fiction and many companies see as the future of interaction between humans and computers. They’re supposed to feel like communicating with another person. Instead of interacting with buttons to accomplish things, the idea is that users can accomplish the desired results by telling the computer what to do with conversational voice or text. Not only that, but the computer should respond naturally. If the device is operated entirely by voice, a conversational interface may or may not even have graphical elements. 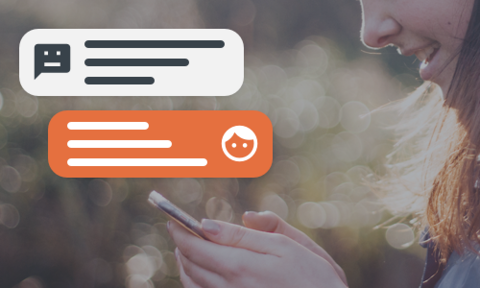 Right now, the conversational interface generally imitates a back-and-forth text conversation. Think the visuals of your text messaging app of choice, and that’s likely what your text-based conversational interface looks like as well. You ask for something, then the digital assistant responds appropriately. What are some popular conversational interfaces? The most popular digital assistants live in the major tech companies’ software. Google has Google Assistant, Apple has Siri, Amazon has Alexa, and Microsoft has Cortana. These assistants perform most of the same functions; however, one assistant may be better at certain tasks than another. The digital assistants mentioned above may have the public's attention, but chatbots are the ever-present silent protagonists. Abe the financial chatbot helps you out by linking to your financial accounts; if you have a financial question you just ask Abe. After asking Abe about your budget, then you can open up the Kayak chatbot to plan your vacation. Two huge reasons. The first is flexibility. If a device connects to the internet, a digital assistant will most likely work. As seen with Amazon Echo and Google Home, a screen is not required for a conversational interface, and most of the voice recognition and computing is done in the mysterious cloud. If the conversational interface does make use of graphical elements, they are most likely text-based. These qualities allow for extreme flexibility, and give developers the freedom to bring the interaction to laptops, smartphones, smartwatches, and other devices such as Google Home. In the future, these digital assistants will come to other connected devices such as routers, fridges, and your car. The second reason that conversational interfaces are popular now is control. If devices or apps dedicated to conversational interfaces are simply a conduit for the data or responses formulated in the cloud then the digital assistant creators primarily need to update the assistant within their own servers, not the consumer’s device. Historically, software creators are dependent on users to download application updates for new features or performance improvements. However, that becomes less true as devices become more internet-connected and less central to processing. Not really. One of the earliest, called ELIZA, was created in the 1960s. It simulated conversation on the command line, and made it seem like users were talking to a therapist. Since then the use of conversational interfaces has exploded in movies and pop culture. WarGames, and Iron Man are a couple well-known movies in the past 40 years to use conversational interfaces as main characters. Teeps does not claim the rights to the above videos. Need some help with your app? Get in touch with us.